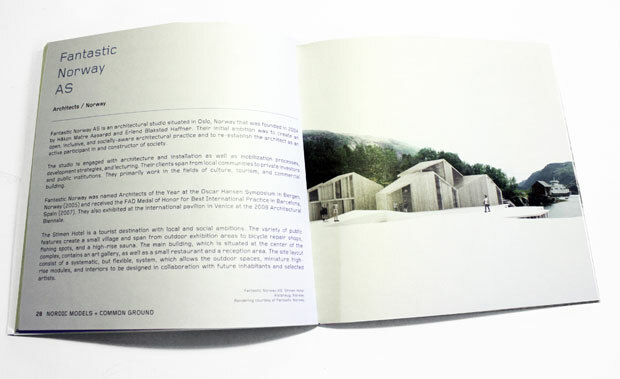 Nordic Models + Common Ground: Art & Design Unfolded. Art and Design Unfolded is the first in a series of ASF Centennial Exhibitions in the Scandinavian House (the Nordic Center) in New York City. “…Nordic Models + Common Ground focuses on works on works produced during the last decade by 35 of the most talented and visionary artists and designers from the five Nordic countries…”. Organized by the American- Scandinavian Foundation in collaboration with Norsk Form – Foundation for Design and Architecture in Norway. Details aboute the exhibition here.